New information from the American Sportfishing Association, National Shooting Sports Foundation and the Congressional Sportsman Foundation quantify the latest economic impacts generated by sportsmen and women. 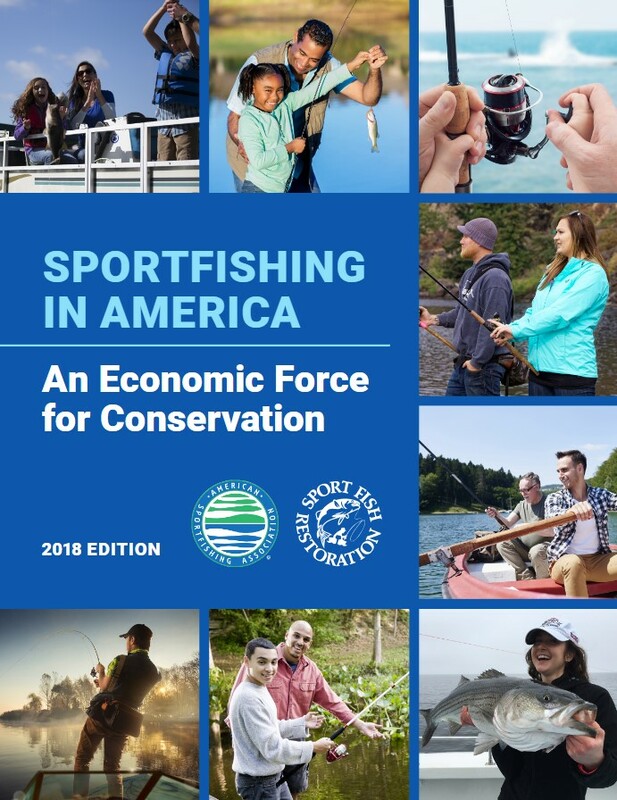 Produced by Southwick Associates, these reports will help policy makers, the business community and other public leaders understand that hunting, target shooting and sportfishing are an important part of the Americans culture plus create hundreds of thousands of American jobs and billions in other impacts. Sportfishing: A year-round activity, sportfishing is the largest of the three activities in terms of participation and economic output. With 49 million recreational anglers in the United States six years of age and older, nearly 1 in 7 Americans take to the water with rod and reel in hand each year. That’s more people than the residents of Texas and New York combined, and with such a big following comes a big contribution to our nation’s economy. Just how big is captured in a new report from the American Sportfishing Association (ASA) titled, Sportfishing in America – An Economic Force for Conservation. Recreational sportfishing expenditures supported more than 800,000 jobs in the U.S. and paid out $16 billion in federal, state and local tax revenues. If sportfishing was its own corporation, it would rank #54 on the Fortune 500 List, ahead of Cisco Systems. Target Shooting: According to NSSF’s new report, Target Shooting in America: An Economic Force for Conservation, interest in target shooting is at an all-time high, up 28 percent since 2001. Driving much of that growth has been women, whose participation alone has increased by more than 80 percent. In 2016, more than 20 million Americans spent money on target shooting, with an additional 29 million accompanying their friends to the range. Nearly $17 billion was spent on target shooting – $12 billion on equipment and nearly $5 billion related to travel – which equates to $46 million per day. Additionally, those expenditures supported more than 329,000 jobs o the tune of $12 billion in salaries and wages, while also contributing $5 billion in local, state and federal taxes. Hunting: There are also at least 11.5 million hunters over the age of 15 in this country spending $27.1 billion a year on equipment and travel. Of these hunters, most (7.9 million) are deer hunters. And, of the $27.1 billion spent by hunters, $2.9 billion were for firearms while $6.3 billion were spent on hunting-related travel. The rest was spent on equipment; licenses, tags and permits; clothing, and other items. The National Shooting Sports Foundation’s (NSSF) new report, Hunting in America: An Economic Force for Conservation, reveals insights into the economic benefits generated by hunting. 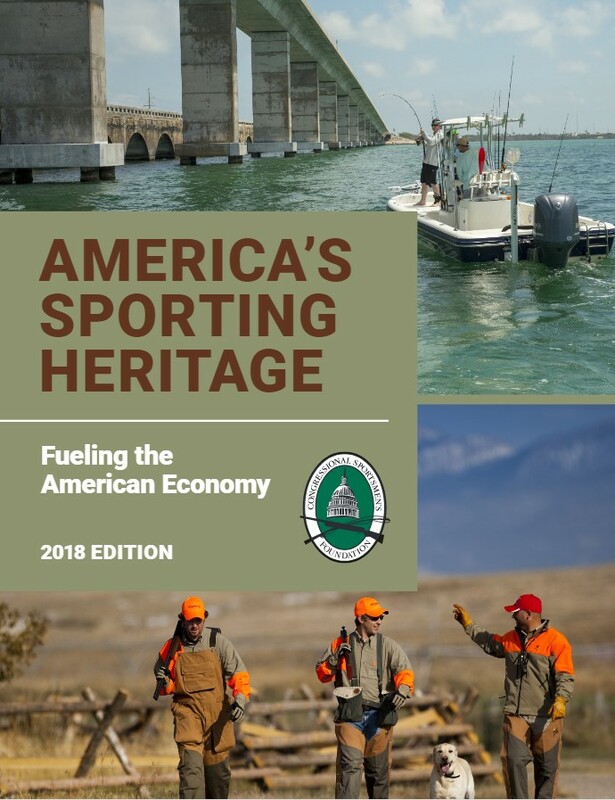 Combined: Tying all three activities together is the fourth report, America’s Sporting Heritage: Fueling the American Economy, prepared by Southwick Associates for the Congressional Sportsmen Foundation. With at least 53 million Americans participating annually in hunting, shooting, and sportfishing, a total of $93.5 billion was spent in 2016 for gear, licenses, travel, clothing, gas and more. Once spent, these expenditures had a ripple effect on our nation’s economy, supporting 1.6 million jobs and providing $72 billion in salaries and wages. These monies also generated nearly $30 billion in local, state and federal taxes, plus billions more in excise taxes dedicated to vital conservation, firearms safety and outdoor educational programs that will help ensure outdoor experiences for future generations to come. Download the reports for more detail and for ‘sound bites’ to learn how hunting, sportfishing and target shooting’s economic benefits compare to well-known every day activities and spending.